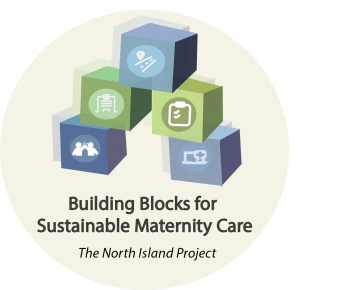 Building Blocks to Sustainable Maternity Care The North Island Project aims to consider system supports necessary to sustain low volume services in British Columbia. This in-depth, community-driven investigation will use open-ended interviews and focus groups with community members to engage in feasibility analysis of each of the five Building Blocks to Sustainable Maternity Care. Click here to learn more about the Building Blocks for Sustainable Rural Maternity Care project and follow the progress. The brochure provides project background and context, preliminary findings and next steps for Building Blocks for Sustainable Rural Maternity Care (The North Island Project).